In Ubud, Bali, I spent an afternoon visiting a dye garden. Dye gardens are rare. 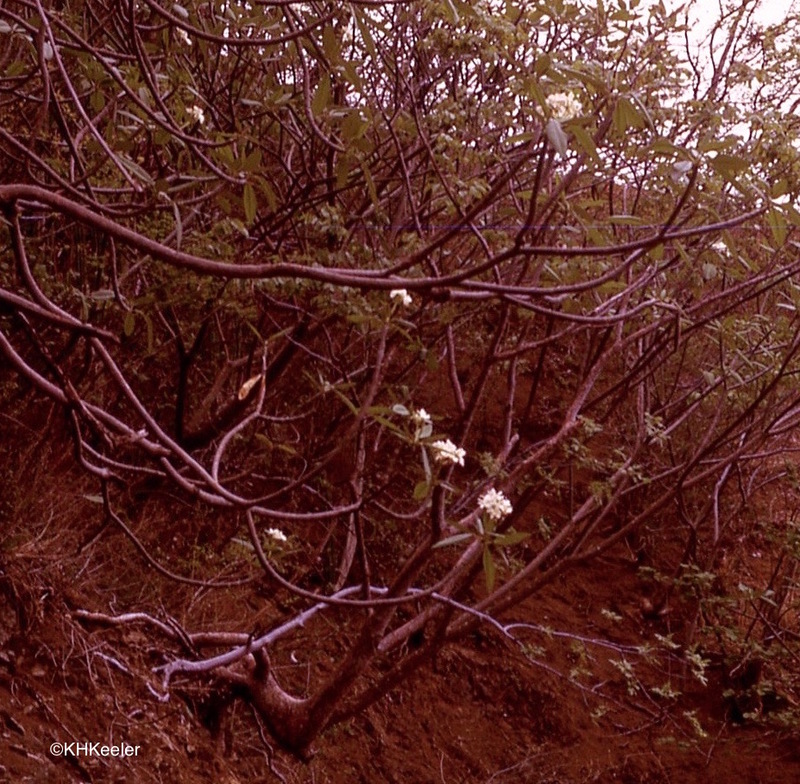 Very few people use natural dyes these days, and only a few of those who dye grow the plants they use. So the dye garden was a treat! This dye garden, run by Threads of Life, provides dyes for local natural dyeing and for teaching about dyes. The dyes, dyed cloth and things made from the dyed cloth are sold at the Threads of Life store in Ubud. The garden is frequently used for natural dyeing workshops (see upcoming workshops: link). 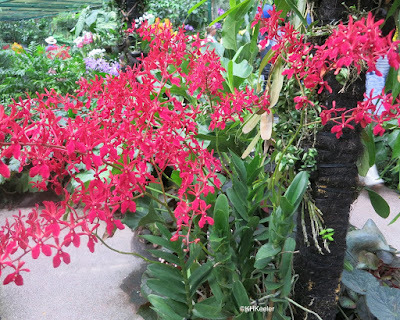 Here is are a group of bright flowers, in case you are deep in snow as I am, are heading for a tropical holiday, or just enjoy the dramatic colors -- a collection of common tropical flowers. The tropics are defined as between the Tropic of Cancer and the Tropic of Capricorn, the area around the Equator between 23 degrees north and south. Except at high elevations, this region never freezes and is generally quite warm and rainy. Orchids! 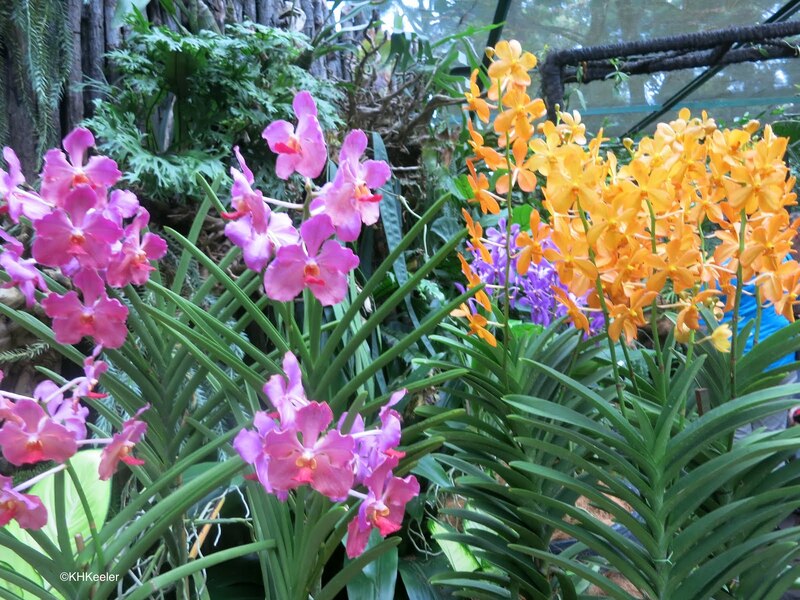 Members of the Orchidaceae, the plant family with more species than any of the other 400+ plant families, orchids have great diversity, from small pale flowers to large purple or red ones. 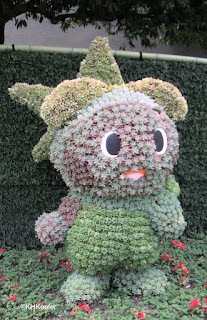 People love them, so there are thousands of cultivated varieties. 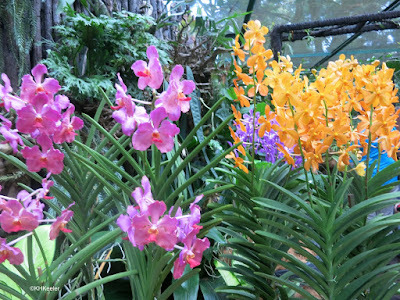 The vast majority of orchids require warm temperatures and high humidity so are easily grown in the warm tropics and less visible elsewhere. The Marquis Frangipani eludes me. 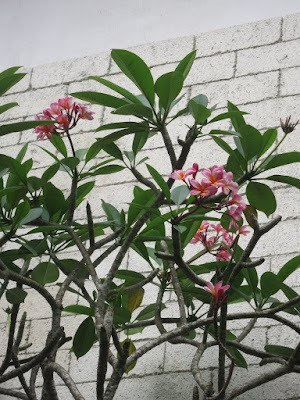 Frangipani, Plumeria, (link: previous post) is one of the plants where the common name is no easier than the scientific name: both are multi-syllable words unfamiliar to most people. 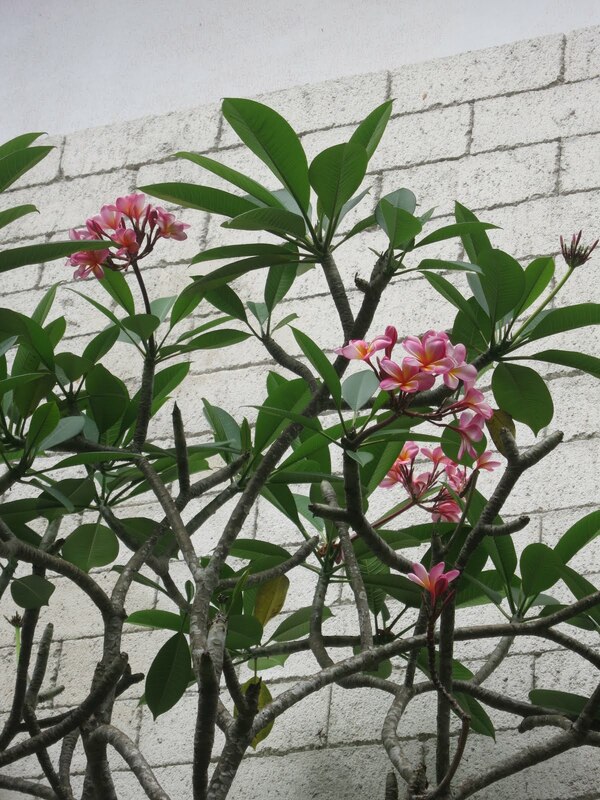 The scientific name is Plumeria. That name was chosen by Linneaus in the middle 1700s in honor of the Franciscan monk and French botanist Charles Plumier (1646-1704, biography), who collected and described many plants in the Caribbean in the late 1600s, one of which was plumeria. 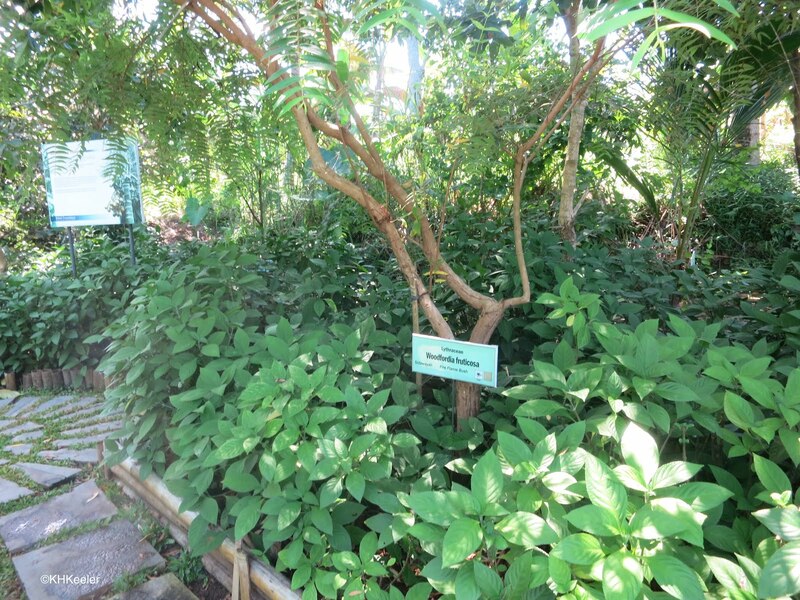 The plant was of course well-known to native Americans across the Caribbean and central America. The Badianus Manuscript, 1552, describes it and its use by the Aztecs, but The Badianus Manuscript was not widely known or available for many years after it was written (link). 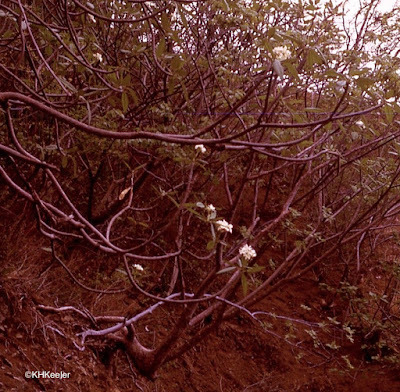 I first saw it in Costa Rica in 1972. A beautiful plant with spiral white flowers and an enticing scent. Plumeria the biologists told me. Several days later someone called it frangipani and I connected the little bottle from the New Age store with the beautiful flower. But it is true. 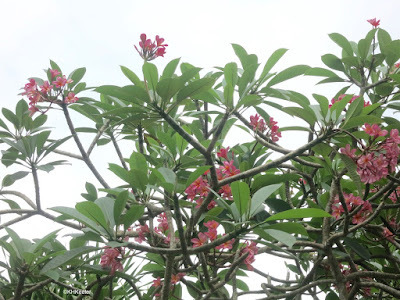 One common name for species of Plumeria is frangipani and it is the source of what I thought of as a rather cloying essential oil. I like the scent of the flowers much better. If you've never smelled a frangipani flower, you've missed a treat!